Inspired by our heritage, here for our future. Change Real Estate, with its partners ICG Longbow and CFO, are transforming this 3.3-acre site in the heart of Bristol’s historic trading district into a new neighbourhood for living, working, shopping and dining. Creating over 500 jobs and generating £7million for the local economy each year, this £250million development is setting a new benchmark for inner city regeneration. We of high-quality residential-led schemes and have more than 1500 homes in our planning and delivery pipeline. We specialise in the delivery of high-quality residential-led schemes and have more than 1500 homes in our planning and delivery pipeline. We know Bristol Bristol is special. It has a joie de vivre that is wonderfully infectious and a unique way of making things happen. Arup has been at the heart of Bristol for almost 45 years. Our planners, placemakers, economists and engineers work collaboratively with clients and communities to deliver real value for this growing city with big dreams. A sustainable city is high on Bristol City Council’s agenda. 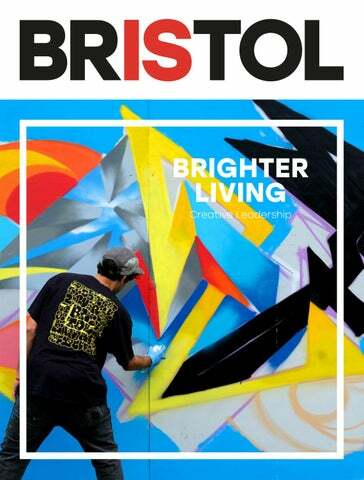 elcome to the spring 2019 issue of Bristol Is. I’m sure you’ll find the articles both interesting and instructive. This issue covers a number of the latest developments in Bristol and sets them in the context of a progressive, innovative and creative city. Through its One City Plan, Bristol is bringing together some of its best collective thinking to set a pathway for the future – a future that will present many opportunities and benefits for the whole city. This magazine explores some of these opportunities and how we are setting out to realise the benefits. EDITOR-IN-CHIEF James Renoux-Wood DESIGN Kate Harkus PRODUCTION MANAGER Christopher Hazeldine PRODUCTION ASSISTANT Mia Wicks BUSINESS DEVELOPMENT DIRECTOR Paul Gussar SENIOR BUSINESS DEVELOPMENT MANAGER Shelley Cook PROJECT MANAGER Sue Mapara SUBSCRIPTIONS MANAGER Simon Maxwell MANAGING DIRECTOR Toby Fox FOR INFORMATION, CONTACT: Chris Hackett & Kevin Slocombe, Bristol City Council PRINTED BY Stephens and George Print Group PUBLISHED BY 3Fox International, Sunley House, Bedford Park, Croydon CR0 2AP T 020 7978 6840 W 3foxinternational.com SUBSCRIPTIONS bristol-is.co.uk COVER: Upfest street art, photo by Stephen Hyde / Alamy Stock Photo IMAGES: @Jon Craig Photos, Chris Bahn / Bristol Design, Channel 4, Jon Jerrome, Charlotte Boyle, BBC / Mammoth Screen, Grimshaw Architects, Dominika Scheibinger, Metrobus / First West of England, Nicky Boogaard (CC BY 2.0), Jon Rowley, Sigh Rendall-Jones / Bristol Housing Festival, Ibolya Feher, Hywel George, SUP Bristol, Wesport, Bristol Bisons RFC by Kenneth Macharia, DTR Photography / Alamy, Sport England, Zara Hadid Architects, Finzel’s Reach image by The White Balance ©2019 3Fox International Limited. All material is strictly copyright and all rights are reserved. Reproduction in whole or in part without the written permission of 3Fox International Ltd is strictly forbidden. The greatest care has been taken to ensure the accuracy of information in this magazine at time of going to press, but we accept no responsibility for omissions or errors. The views expressed in this magazine are not necessarily those of 3Fox International Ltd.
ASHTON RISE WORK BEGINS Building work has started on a new 133-home social housing development at Ashton Rise in Bedminster. The development is the first of its kind for Bristol City Council: 80 of the homes will be sold to private buyers and the profits used to build the additional 53 new council houses on the site. There will be a mixture of two, three and four-bedroom houses, and one and twobedroom apartments. Plans also include a plaza, which would integrate the new metrobus stop, as the South Bristol Link Road is located on the north-west side of the site. The contractor is Willmott Dixon, which is also behind the Finzels Reach redevelopment in Bristol. ARENA PLANS TO TAKE OFF Malaysian developer and utilities provider YTL has revealed plans for a 16,000-capacity arena in the Filton area of Bristol, which would be the third largest in the UK. If plans are approved, the arena would be part of a wider, multimillion pound privately funded development, including 2,600 homes and a new railway station by the venue. YTL bought the Filton airfield in 2015, with plans to build a new city district around the two-mile runway, where both Concorde and the giant 1950s airliner, the Bristol Brabazon, were developed. With an area of 10ha, the three interlinked hangars are one of the largest continuous footprints in Europe, and could fit London’s O2 Arena inside. The firm is currently appointing a design team for the project. Once designed, the scheme will be presented as a detailed planning application in summer 2019. If successful, YTL is committed to building an arena in the city by autumn 2022. Plans for the central Temple Island site were set to one side in September 2018, following the ‘value for money’ report requested by Mayor Marvin Rees, in the face of spiralling costs. The two-hectare site will instead be home to a mixed-use development of a 345-room hotel, 550 new homes – including 220 classed as affordable – and two ‘grade A’ office buildings. BEDMINSTER HOUSING BOOST Plans to build a housing development, just behind a major road in south Bristol, have been given the green light. The 59 one and two-bedroom flats and eight terraced houses in Bedminster would all be classed as affordable. Focused around a small triangular area of public open space with children’s play area, the three blocks would range from three to five storeys. JOINT VENTURE PARTNER SOUGHT FOR COUNCIL’S HOUSING COMPANY Bristol City Council is seeking a joint venture partner to develop the first two sites through its new housing company, Goram Homes. The two schemes will deliver 400 homes between them. The first, at Romney House, has outline planning permission for 268 flats and houses. It is located on the site of a former school and offices in the north Lockleaze area, next to the large and expanding University of the West of England main campus. The second, dockside scheme will include 120-140 homes, as well as riverside commercial space. Both are expected to include up to 40% affordable housing, including social housing and shared ownership. The housing company was created in September 2018 as part of Bristol mayor Marvin Rees’s plan to build 2,000 homes a year – 800 of them affordable – by 2020. HOMES FOR REDCLIFF QUARTER The second phase of the Redcliff Quarter is now on-site, providing 188 homes for private rent, and will complete in June 2020. The whole 1.3-ha regeneration scheme will comprise 246 homes, along with cafes, restaurants, a hotel, food court, shops and offices, and is a joint venture between A2Dominion, Change Real Estate, ICG Longbow and Cannons Family Office. A2Dominion has also been working with Bristol City Council and Bristol University to develop student accommodation and affordable homes on Malago Road in Bristol. The residential property group has submitted proposals to the council to develop 550 student rooms and 49 affordable homes, with a planned start date of summer 2019, and completion in autumn 2021. ONE CITY, SIX THEMES, MANY VOICES BELL RINGS FOR START TO ASSEMBLY Real estate investor AXA Investment Managers and developer Bell Hammer are about to start work on the initial phase of the 27,000sq m mixed-use Assembly Bristol regeneration project. Constructed by main contractor Galliford Try, completion of Building A, which comprises 18,000sq m across 11 storeys, is due in 2020. The scheme is located with Temple Quarter and within easy reach of Temple Meads train station. The innovative building, designed by AHMM, comprises multiple uses, and a range of flexible office spaces designed for both local and global businesses. It includes assets such as natural light and high ceilings, outside space on every floor, opening windows, a managed and shared roof terrace and end-of-trip cycle facilities. It will be completed at the same time as a major new waterfront public space. Bristol mayor Marvin Rees launched the cityâ&#x20AC;&#x2122;s first ever One City Plan in January, setting out targets for Bristol decade by decade until 2050. Partners from the cityâ&#x20AC;&#x2122;s business, charitable, academic and public sectors all contributed to the first draft of the plan, which aims to make Bristol fair, healthy and sustainable with reduced inequality. There is a vision for each decade, along with six priority themes: health and wellbeing, economy, homes and communities, environment, learning and skills and connectivity. The document is at pains to point out that One City is an ever-evolving collaboration, and an attempt to focus the city on a series of outcomes, rather than a set of unchanging rules. More on the One City Plan, page 14. LIVING THE HIGH LIFE Work is set to start this month on what will be Bristol’s tallest residential building, at 26 storeys high, after planning permission was granted in December 2018. Construction work on the 375home building is to be carried out by contractor Bouygues UK, with completion scheduled for 2022. The 16,200sq m Castle Park View, overlooking Castle Park, Bristol’s largest city centre green space, is being led by government housing agency Homes England on brownfield land it owns jointly with Bristol City Council. It will be developed by Linkcity with M&G Real Estate and Yarlington Housing Group. Designed by Chapman Taylor on the site of a former ambulance station, it will deliver some of the first dedicated built-for-rent homes in Bristol city centre. M&G Real Estate will own and manage 300 one and twobedroom private rented sector homes apartments, as part of its UK residential property fund. Yarlington Housing Group own and operate the remaining 75 one, two and threebedroom apartments. DISABILITY SERVICE COMMENDED A supported living service for people with learning disabilities in Bristol and South Gloucestershire has been rated outstanding in a Care Quality Commission report. This comes on the back of two other ‘outstanding’ reports for the charity Milestones Trust, one for Flaxpits House, a shared home for younger people with learning disabilities in Winterbourne, and another for 50 Vassalls Road, a shared home in Fishponds, Bristol, for up to six people with learning disabilities. WOMBLING FREE Law firm Womble Bond Dickinson is strengthening its position in Bristol with seven new appointments to the real estate team, after receiving new instructions from the expanding development sector. It also shared its expertise at two conferences in the city last October, hosting its first event in the Real Estate Quarterly Talks series, discussing the issues affecting residential development. This included proposals for leasehold reform, and speaking at the first Global Parliament of Mayors Annual Summit. Bristol City Council is adopting some of the innovation and enterprise for which the city is well known. In the last few years, the council has established three wholly owned companies to deliver much needed services and offer new revenue streams to the cash-strapped local authority. Here we explore two of these new companies – Bristol Energy and Goram Homes. Both are examples of Bristol City Council opting to invest in services that meet real and pressing issues facing its citizens, while also protecting other services from death by a thousand cuts. Habourside, will be joint ventures with development organisations yet to be identified. Lifting the HRA cap will enable the council to bring forward ten schemes by 2022. These schemes will add a combined 400 council homes and will be the first step towards a more extensive building programme in future years. Pictured Businesses, charities, educational representatives and the public sector meet up to discuss the One City Plan. Pictured The One City Plan aims to engage Bristol’s communities in its future. An impressive waterfront development in the heart of the city, Assembly Bristol offers a range of unique spaces and offers up to 316,000 sq ft, with office floorplates ranging from 3,709 sq ft to 22,725 sq ft. Ideally situated in the city’s Temple Quarter Enterprise Zone, Assembly Bristol’s flexible design and occupier-led scheme will create a community-based workplace with unique character and a wealth of amenities. It’s made for Bristol and made for business. Film festivals are a popular fix in Bristol and focus on a range of disciplines and subjects, from short film and animation at Encounters Film Festival in September, to the Wildscreen wildlife documentary festival every other year in October. There are also individual festivals for Palestinian and African cinema. But Bristol is not just a city for film. Melissa Inman, senior events officer in the council’s arts and events team, says: “The city welcomes all types of events, from small community activities, to large commercial festivals that create a sense of place, attract investment and provide jobs.” Among the most popular and largest events include the Bristol Harbour Festival, which is this year in its 48th year and will be held at the end of July. The festival celebrates the city’s maritime heritage. There is also the much-loved Bristol International Balloon Fiesta, which takes place in August. Inman says the council’s arts and events team supports the development and delivery of citywide festivals and events and plays “an integral role in contributing to, supporting, developing and advocating for the festival and events sector in the city”. This is in line with the city’s cultural strategy and Bristol City Council’s priorities, says Inman, and “ensuring Bristol continues to be one of the UK’s leading creative cities”. Funding and support for the work of Bristol festivals comes from the council’s Cultural Investment Programme. 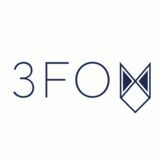 Imman says this involves “the sustainable and strategic development of festivals and events in Bristol – and comprises a network of more than 30 leading Bristol independent festival and event organisers, for the benefit of the widest range of audiences in the West of England”. Pictured clockwise from top left The Bristol International Balloon Fiesta; Aardman’s Morph; Shaun the Sheep and Films@59’s studios. companies [here], doing all sorts of things from visual effects, audio and editing. The denser and bigger the scale of the industry helps. Bristol is having a moment. We’re on good foundations and that means Bristol is a great place for Channel 4 to set up home.” Where C4 will be based has not yet been revealed. “There is plenty of speculation, but we have not announced it officially,” says Vicky Taylor, deputy head of press and publicity, corporate and commercial for C4. But Harry Allen, associate director, office agency team for Savills in Bristol, and the agents charged with finding C4 its Bristol premises, reveals the new hub will be based at a prime city centre scheme – “a new building with a very impressive environment, which will make a statement”. Take Poldark, Wolf Hall and Broadchurch: three of the biggest TV series of the last decade. Add in Sky TV’s Fortitude and game shows Tipping Point, and Deal or No Deal, and what you have is just a few ingredients in the mix of what is made at The Bottle Yard Studios in Bristol. The studios opened in 2010 as a joint partnership with Bristol City Council, on nearly 30,000sq m which was formerly the production site of Harvey’s Bristol Cream Sherry. They have hosted more than 50 productions, helped generate £15.2 million for the city last year, and created 470 jobs on-site in 2018. Its creative hub is now home to 23 tenant businesses. And the studio’s success will allow it to expand. In December 2018, the council bought property at Hawksfield Business Park, just half a mile from the studio’s current home at Whitchurch Lane, for this purpose. As well as extra space, there is also the need to safeguard current levels of production activity while the Hengrove Park building works take place. Hengrove Park is a 75-ha former airfield south of Bristol, where there are plans to develop around 1,500 homes. “This step will enable the studios to update its facilities and increase its capacity to include two new studio spaces,” says Tara Milne, PR and marketing consultant for The Bottle Yard Studios, and Bristol Film Office. Milne adds that the council passed a decision to purchase land at Hawkfield Business Park as the first phase of this development, and planning is now under way for the next phase of this process, with funding due to be sought from the West of England Combined Authority in 2019. Pictured from top Popular TV programmes shot at The Bottle Yard Studios in Bristol include Poldark and Broadchurch. A leading mixed-tenure regeneration business, responding to the need for new homes. Aligned with our clients to realise their ambitions whilst creating change through partnership working. Leveraging our market knowledge and construction experience to deliver complex award-winning developments. Delivering homes and communities. A national business, with a major local presence. More than 1000 homes built or planned throughout Bristol. Committed to investing in land and people. Embracing modern methods of construction to build homes more quickly. Helping communities thrive by creating more than just homes. Pictured from above "A window to the past", an augmented reality display at the Bristol Old Vic; live music at the soon-to-be-renamed Colston Hall. At Bristol Airport, we’re proud to be the local airport for this fantastic region. We’ve invested £160m in developments that have transformed the airport experience and now offer more than 125 destinations to our 8.5 million loyal passengers. Delivering world-class customer service and sustainable aviation is at the heart of everything we do, which is why we’re so proud to win ACI’s Best Airport in Europe (5-10m passengers) award. Pictured clockwise from top left Bristol is working hard to improve bike, train and bus travel for its burgeoning population. Pictured clockwise from opposite Signposting ideas at Bristol Housing Festival; modern housing construction methods are favoured; Councillor Paul Smith at the festival; people of all ages are getting involved. BRISTOL IS HOUSING Pictured We Can Make aims to develop community housing (left and above). Launchpad (below) will provide for young people and key workers. WE KNOW BRISTOL Barton Willmore is the UKâ&#x20AC;&#x2122;s leading integrated planning and design consultancy. Based on one of Bristolâ&#x20AC;&#x2122;s main streets since the nineties, our talented team of planners and designers work across the city and the entire South West. Pictured Locals – old and young – get involved with a variety of sport and leisure pursuits in Bristol. BEING THE EUROPEAN CITY OF SPORT FOR 2017 ACTED AS A CATALYST TO SET UP SPORT GATHERINGS to ensure everyone has the opportunity to access sport and physical activity. We have developed relationships with clubs, schools, national governing bodies of sport, charities and local businesses to get more people active, with a particular interest in those who are currently inactive and from groups currently under-represented in sport and physical activity. For example, we run The West of England School Games, where 72 schools from Bristol took part in our finals days.” While this is all positive, Blackmore does admit reaching marginalised communities in Bristol can be difficult. Pictured from top Tennis and taekwondo are just two sports young people have the opportunity to get involved with in Bristol. elf-employed people in Waltham Forest are new ways to work finding in a crucial step forward for entrepreneurs and business-m inded residents. Collaborative organisations such as the co-operati ve working space Indycube and the Blackhorse Workshop public facility are intent encouraging freelance on success across the borough. Indycube, in partnershi p with the community trade union, is helping support Walthams to tow’s growing employed communit selfy. The Labour MP for Walthams tow, Stella Creasy, hopes projects run by organisations like these gateway for promoting will act as a membership among trade union north-east London the 16.5% of her work for themselve constituency who s.
Above: Indycube seeks to unionise self-employed people – such as graphic designers – to provide workers’ rights support. Fighting to break down the hierarchie s of an industry while working with some of its most respected represent atives For Louise Fedotov-Cle is a challenging prospect. ments, artistic director of QUAD, Derby’s centre for and co-founder/directo contemporary art and film r of Derby’s internatio photography and nal related media festival, is what makes FORMAT, it the event unique. B R I A N G R I F F P A T R O I N , N O F F O R M My photograph, A T morning for the ‘Rush Hour London Bridge’, was magazine Managem taken one story about people commuting into ent Today, to illustrate a inspired by the the City of London. German expressio It was a group of people marching to thenist silent film ‘Metropolis’ – same place like automatons. an arts officer at the time. The inspiration was the city’s history not and heritage within photography, but the idea that the medium can “represent so different ideas many of places, people and ways of seeing, living and thinking” . “It is a very contempo rary festival, but archives based it also involves on the heritage of photography around the world, from whether it’s Africa, China, India or across Latin America,” Fedotov-Clements adds. Cllr Peter John, Southwark Council on Southwark #20. Helping Bristolâ&#x20AC;&#x2122;s businesses succeed around the world For more than 20 years we have advanced and protected the interests of Bristol businesses in the local market and beyond. To find out how we can work with you visit womblebonddickinson.com or call us on 0117 989 6570 ÂŠ Copyright 2018 Womble Bond Dickinson (UK) LLP. All rights reserved. Womble Bond Dickinson (UK) LLP is authorised and regulated by the Solicitors Regulation Authority. Work is due to begin on developer AXA / Bellhammer’s Assembly project. Assembly Bristol offers a total of 29,000sq m of space across a variety of flexible commercial floorplates, ranging from 418 to 2112sq m. The developer said public realm would be at the heart of Assembly, with extensive waterside spaces and rooftop gardens. It comprises three buildings: Building A will be up to 18,600sq m, Building B 2,322 and Building C around 7,900. Planning permission was granted in July 2018 for the redevelopment of a 3.5-ha area that forms part of the Broadmead estate adjoining Cabot Circus. The masterplan provides for up to 74,000sq m of retail and leisure space, 380 car parking spaces, and the potential for 150 homes and a 150-room hotel. Existing buildings will be demolished, giving a comprehensive redevelopment of land in and around Callowhill Court, Broadmead and The Horsefair. Planning consultant Turley said the project would “update a part of the city centre’s main shopping quarter that has received only piecemeal upgrades since originally being developed in the 1950s”. The buildings aim to be ‘futureproofed’ for occupiers through higher than usual floor-to-ceiling heights of 2.85m, outdoor space on every floor, opening windows and personal control over environments. Assembly is planned to an eventual occupancy density of 1.8sq m. There will be six passenger lifts, plus a goods lift and two for firefighting. The project will include improved pedestrian links to the city centre, Temple Meads train station and the nearby Floating Harbour. The University of Bristol is progressing plans to create a new campus on the 2.8-ha site next to Bristol Temple Meads railway station. Business education will be co-located with science and engineering research and development, with a focus on digital innovation. There will be students working alongside industry partners. The new campus is expected to generate more than £400 million for the local economy over 25 years. Outline planning permission was granted in July 2018 and consultation on the next stage of design is scheduled for spring 2019. The campus is set to open → in 2021-22. Bristol Airport is situated just outside the city, and its owner, Ontario Teachers Pension Plan, has submitted a planning application to North Somerset Council to increase capacity to 12 million passengers a year by the mid-2020s, from nine million expected this year. Traffic through the terminal is limited to 10 million passengers under the current planning permission. Under the new plans, the terminal will be further enlarged, with expanded passenger and baggage facilities and a canopy over a pedestrianised forecourt. Additional car parking and a new loop road will improve traffic flow within the airport site. Local highway improvements are proposed to the A38 junctions with West Lane and Downside Road to ensure additional passenger journeys can be accommodated. Developer Square Bay acquired the Silverthorne Lane site in the Temple Quarter Enterprise Zone in 2014 and obtained planning consent for 168 homes with ground floor flexible commercial space. Square Bay has since set up Feeder Estates to develop the project, with 500 homes, offices, shops, accommodation for 800 students and a 1,600-place school. The homes would be in blocks ranging in height to 20 storeys, while around 10,000sq m of space would be devoted to employment, mainly offices. Academy chain Oasis has bought part of the site for the new school for pupils aged 11-18. Bristol Temple Quarter is one of the largest urban regeneration projects in the UK, an overarching programme in which sit a number of projects. It covers 100 hectares of land with the historic Temple Meads station at its core. The 25-year ambition is to deliver 22,000 jobs, up to 11,000 new homes and establish a world-class new campus for the University of Bristol. Work expected this year includes the demolition of the former Royal Mail sorting office. Contractors have been working since early 2018 to prepare the site and demolition is expected to start in February, after which the university will begin construction of its new enterprise campus. A concept masterplan for 70 hectares of Temple Meads and the Temple Quarter is due to be published in May following work that started last July. This will examine how to open up access to and through Temple Meads from the east of the city and the potential to bring forward new retail, office, housing and leisure developments based around Temple Quarter. Elsewhere in the quarter, construction work on Engine Shed 2 is due to start this autumn on a derelict site. It builds on the success of the start-up incubator provided at Engine Shed 1. Remodelling of the Temple Circus junction has been under way since 2017 and is expected to be completed by September, giving a simplified road layout with larger accessible bus bays. Space will double for pedestrians and quadruple for cyclists. This project also opens up new land for development. The overall Temple Quarter project is being delivered by a dedicated team at the council, supported by the West of England Combined Authority (which incorporates the local enterprise partnership), government agency Homes England, which owns several sites in the area, the University of Bristol and Network Rail, which owns â&#x2020;&#x2019; Temple Meads railway station. Bristol City Council’s cabinet has decided to explore a mixed-use development on Temple Island instead of the original idea of an arena. This followed a recommendation by officers of an alternative scheme, which could include a conference centre and four or five star hotel, retail and both private and homes classed as affordable next to Bristol Temple Meads. Mayor of Bristol Marvin Rees said: “By not borrowing the huge sums needed to build the arena, we will also release capital for other exciting city projects. “I remain committed to delivering an arena for Bristol and we will continue to work with our partners to make sure that we make this a reality.” The mixed-use scheme with potential partner Legal & General could bring £500 million in economic benefits. Local developer Cubex has drawn up plans to transform the former headquarters site of Avon Fire and Rescue into new homes and offices, and intends to submit plans to the council this year. The £140 million mixed-use scheme planned for the site comprises a 9,290sq m office building, featuring a corkscrew staircase, rising up through a glass atrium to a rooftop terrace. It will reflect similar design principles to Aurora, the slightly smaller office building completed at Finzels Reach last year. There will also be more than 300 homes in buildings varying in height from seven to 16 storeys. Co-working space will be at ground level. Cubex has committed to deliver 20% of the homes as affordable. Demolition of Westmorland House began in late 2018 and two years of construction work is scheduled to start in spring 2019. The company has also bought the Generator Building, which will become co-working space. Cubex started regeneration work at Finzels Reach just over five years ago and the first phase is almost complete. Finzels Reach was originally a brewery and sugar refinery and the site was closed to the public for more than 200 years. Cubex has developed more than £110 million worth of office and residential space, and nearly £26 million of leisure space. By the end of 2019, around 2,500 people will be living or working at Finzels Reach, with 437 new apartments, alongside 22,300sq m of office space. distinguished stone arched facade being retained. The new development will comprise six residential blocks, some including retail units and built from a variety of materials. Bristol City Council recently won the Local Energy Leadership Award at the National Green Energy Awards. Noella Pio Kivlehan speaks to head of energy services, David White, about how Bristol is rising to climate challenges What are Bristol’s biggest energy achievements to date? We’ve delivered over £50 million of lowcarbon projects since 2012, and remain the only local authority in the country to own large-scale wind turbines, having invested in the installation of two 2.5MW wind turbines in 2015.
serve a number of new commercial and residential developments near Temple Meads station. Also, we are working on the City Leap initiative – a series of energy investment opportunities with the potential to transform Bristol’s energy system and help us forge ahead on the journey to carbon neutrality. What energy projects is the council currently working on? What has this meant for Bristol? All of these projects have helped the city reduce its carbon emissions. As a council, we’re excited to say we have cut our own corporate emissions by 71% – achieving our 2020 target years ahead of schedule and showing how local councils can lead by example. In 2018, we released a prospectus document, which outlined all of our energy projects and the areas where investment could help to increase their scale and pace of delivery. How is the council engaging people with the issue of climate change?